Laura Roura i Foixà born in Girona (Spain) and she starts playing cello at the age of 9 years old in the Music School of Girona with Pau Ferrer. 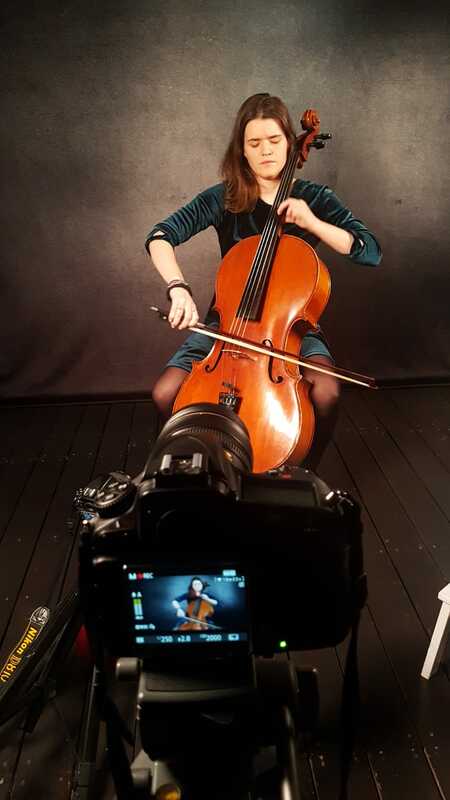 At the age of 15 years old she goes to Barcelona to have cello lessons with Mark Friedhoff as well in the Professional Conservatory of Girona. For two summers (2008-2009) she goes to International Course of Music in Cervera (Spain) and she takes lessons with Laurentiu Sbarcea and Amparo Lacruz. At the age of 18 years old she prepares the auditions for Bachelor in the Utrecht Conservatory with Lluis Claret and Mark Friedhoff. After successfully auditions in Utrecht’s Conservatory she starts the Bachelor with Timora Rosler. After 4 years of Bachelor she passes the Master auditions in the Royal Conservatory of The Hague where she graduated in the Master of performance with Larissa Groenenveld. In those orchestras she participated with conductors as Lluis Caballeria, Jaime Martín, Jordi Mora, Gonçal Comelles, Manel Valdivieso, Hans Graf, Karl Anton Rickenbacher, Valeri Guérgueiv…. She recorded a CD with the Spanish songwriter Guadi Galego and together with her Pop Music Band she did a Tour through the north of Spain during the summer 2018. She also had Masterclasses with the following teachers: François Ragot, Lluis Claret, Peter Thiemann, Gary Hoffmann and Dimitri Ferschtman. During the last 5 years she has started her teaching career as well. Mostly as a private teacher and in the Albatros School in Dordrecht.